We have been very creative and made some ‘squiggle art‘ pictures. We all started with the same squiggles on our page and then created lots of different pictures. Then we used the Chatterpix app to make our pictures talk! We explained what each picture was showing and how we created it. Our last step was to share these pictures with the families in our class via Seesaw. Here are our Squiggle Art clips. 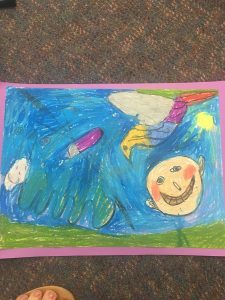 This entry was tagged Chatterpix, creativity, Seesaw, Squiggle Art. Bookmark the permalink.